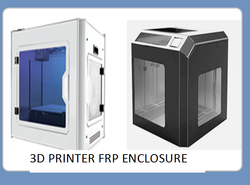 We are manufacture and develop of printer enclosure FRP material. FRP Pattern and Mould maker. SES will provide enclosure in different sizes as per client requirement. SES will provide a wide range of FRP Enclosure is manufactured by using high grade FRP's. Our range of Enclosure is designed in compliance with quality standards. Moreover, we provide customization as per the specifications detailed by our clients to fulfill their needs and requirements. Amrock Is Well Established Within The Electrical And Enclosure Industries. We Offer Frp (Fibreglass) Enclosures To Prevent Damaging Elements Such As Water, Salt, Chemicals And Uv. 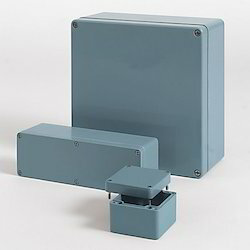 Our Line Of Nema Type 4x, Iec Type Ip66 Non-Metallic Enclosures Provides Maximum Protection Where You Need It Most. We offer high performing Plastic Enclosures, which are made from superior quality Polycarbonate, FRP and other raw materials. Some of the features and dimensions of our products are as follows. Bajaj Engineers & Consultants Co.
"We deal only in pune"